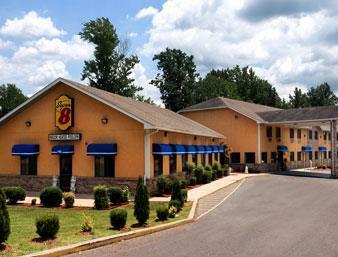 Welcome to the newly renovated Super 8 of Paris, TN. Easily accessible from US Highways 641, 69 and 79. Just two hours from either Nashville or Memphis. We offer a Super way to start your day with our Hot Breakfast Bar. Enjoy tastefully appointed guest rooms that feature Free High Speed Internet, Free HBO, major cable and all the premium channels, refrigerators, microwaves, alarm clock radios, coffee/tea makers, hairdryers and iron and iron boards. We also have jacuzzi suites available. Indoor Heated Pool/Spa. Fishermen friendly hotel. Located in the rustic hills of Tennessee, our property offers easy access to Tennessee Kentucky Lake- 16 miles, Paris Landing State Park- 16 miles, and the Land of the Lakes- 42 miles. Our town offers dining at restaurants such as RJs Lounge, the Fresh Market, El Vaquero, and the Great Wall Buffet.